June, 1510: the Burren, west coast of Ireland - Upon going unexpectedly into an early labour, Mara is alerted to the disappearance of Malachy, the local physician. Mystery follows birth, as shortly after the entrance of her son into the world the body of Malachy is discovered. But who stands to profit from this death and who therefore are Mara’s lead suspects? For starters there is Malachy’s new wife and her two sons, not to mention the very daughter who helped to deliver Mara’s child. But soon we discover that the list of people bearing Malachy a grudge is even longer that Mara could have anticipated. 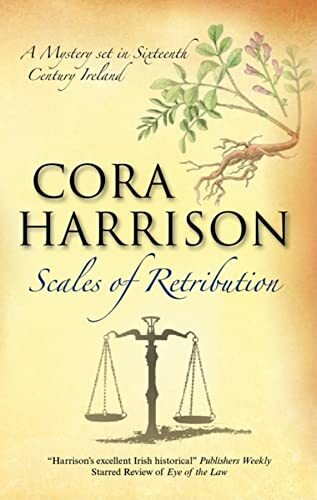 About the Author&colon; Cora Harrison published twenty-six children's books before turning to adult novels with the ‘Mara’ series of Celtic historical mysteries set in 16th century Ireland. Cora lives on a farm near the Burren in the west of Ireland.